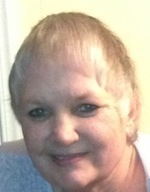 Frances L. Schnurr, 65, Woodstock, IL went to be with the Lord on Wednesday, July 17, 2013 at the home of her sister in Frenchville. She was born Nov. 10, 1947 in Lecontes Mills, a daughter of the late Francis ‘Jake’ and Anna (Dixon) Hetrick. She was employed as a certified nursing assistant at Mountain Laurel Nursing & Rehabilitation Center, Clearfield, and various other nursing homes in Illinois. She also worked in customer service at several trucking companies and was most proud of retiring on 11-11-11 from the Snap-On Repair Center in Crystal Lake, IL. She enjoyed oil painting, teaching Sunday school and evangelism. She loved her family, especially her grandchildren and cherished spending time with them playing cards and dice. She will be greatly missed by all. She is survived by her husband, Edward A. Schnurr, whom she wed June 18, 1994 in Woodstock, IL; four children, Margie Sizemore of Cary, IL, Bill Dixon and his wife, Sonia of Clearfield, Robert Dixon and his wife, Natalie of Alaska and Vincent Dixon and his wife, Stephanie of Shawville; and two step-daughters, Amy Borth and her husband, Brian of Nekoosa, WI and Amanda Lege and her husband, Jacob of Plover, WI. Also surviving are four sisters, Dot Kelly and her husband, Buck of Frenchville, Lisa Cusanelli and her husband, Dennis of Savannah, GA, Donna Kent and her husband, Daniel of Nashville, GA and Cindy Cole and her husband, Larry of Frenchville; a brother, Chuck Hetrick of Lanse; and several grandchildren, step-grandchildren, great-grandchildren, nieces and nephews. A memorial service will be held at 3 p.m. Sunday at the Gospel Chapel, Woodland, with Pastor W. Lee Casher officiating.